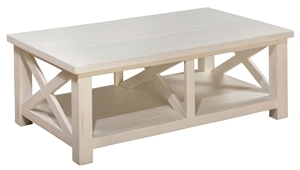 Casual 50-inch cocktail table crafted from sturdy reclaimed pine will brighten any room with its slightly distressed white finish. 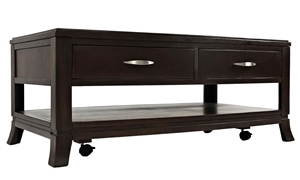 Gentle curves in a dark merlot brown finish and brushed nickel drawer handles add allure to this 48-inch cocktail table with casters. 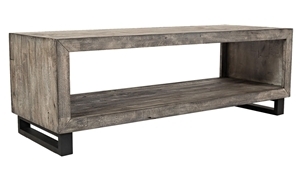 Angular 56-inch cocktail table in a distressed grey finish functions as modern art for your living room with open display space. 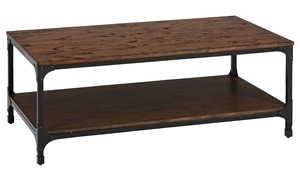 Table features storage accessible from both sides, and offers a timeless take on mixed media with wire-brushed acacia and metal accents. 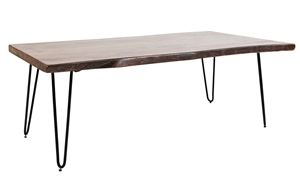 Cocktail table meshes modern and rustic styles with a 50-inch live edge surface crafted from solid acacia atop iron hairpin legs. 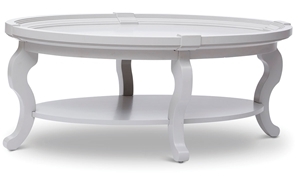 Traditional 48-inch oval table features gently curved legs and pie-crust details in a solid light grey finish perfect for modern day. 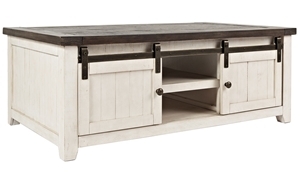 50-inch cocktail table captures casual rusticism perfectly with sliding barn doors, a plank top design and distressed vintage white finish. 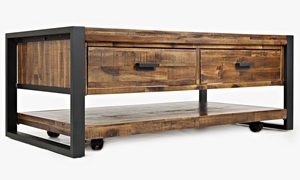 Trendy industrial cocktail table crafted from steel and distressed acacia features two drawers and a storage shelf atop 360-degree casters. 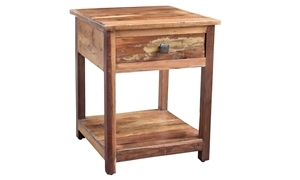 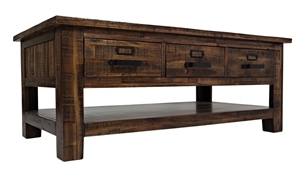 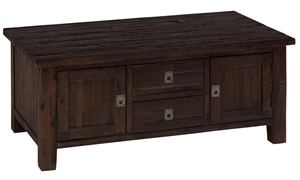 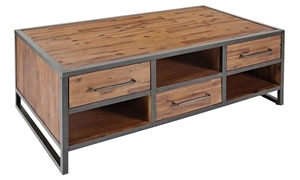 48-inch table embodies rustic industrialism with its simple, sturdy design featuring 3 pull-through drawers with apothecary-style hardware.